Philadelphia, Bucks and Montgomery Counties Real Estate. Tips for home buyers, home sellers by Gita Bantwal,Realtor at Re/Max Centre Realtors. : Attention Landlords. Do you have a condo for rent in Montgomery in North Wales ? Attention Landlords. Do you have a condo for rent in Montgomery in North Wales ? Do you have a condo fo rent in North Wales or Lansdale area ? I have clients looking for a six month lease. They pay the rent on time. They just need a short term lease as they will be buying a house in six months. Please call me at Re/Max Centre 215-343-8200 x124 or 215-2758491. 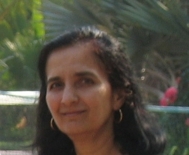 Hi Gita Bantwal, I hope you'll be able to find something for your clients soon. I hope that a North Wales landlord will see this and have something available for you.